Can You Get Monetary Assistance from FEMA for Irma? You Might be Surprised. Hurricane Insurance Claim? Things to Watch Out For. FEMA stands for the Federal Emergency Management Agency and is part of the Homeland Security department. Okay, enough background. 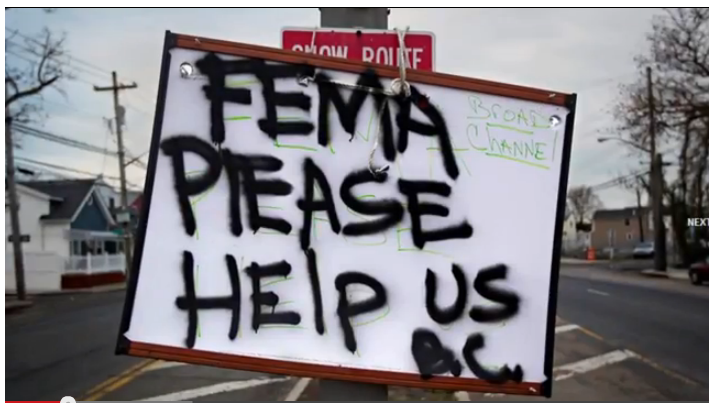 You need help – can FEMA help you? The answer may very well be “YES” – more than you might think. FEMA helps individuals with housing costs, medical costs, vehicle costs and even provides monies for loss of essential household items – up to $30k. Apply at www.DisasterAssistance.gov. 1. In order for FEMA to assist you as an individual (as opposed to general public assistance), your county must have been declared eligible for individual assistance. Currently counties from Collier up to Hillsborough on the west coast of Florida have been declared. The counties of Lake, Orange, Osceola and Seminole have been added to the list. THIS MAY CHANGE. Please let us know if anyone has information to the contrary. HOWEVER, you can still apply for individual assistance and your application will be accepted and processed that much faster if your county later becomes eligible. If you are in need, APPLY NOW. 2. In order to receive individual assistance, YOU MUST HAVE FIRST MADE AN INSURANCE CLAIM, if you have home insurance. 3. What does FEMA help with? There are two types of direct federal disaster assistance available: housing needs and nonhousing needs. GRANTS ARE AVAILABLE UP TO $30k. However, the average grant is around $7,500. A. Housing assistance: This includes temporary housing and money to help repair or replace your primary residence. To qualify for housing needs assistance, you or someone living with you must be a U.S. citizen, noncitizen national or qualified alien; your home must be your permanent residence; and you must have been living in the home when the disaster hit but not currently able to due to damage from the disaster. B. Nonhousing needs. These include medical, dental and funeral costs; clothing and household items; tools; home fuel; disaster-related moving and storage; and replacement of a disaster-damaged vehicle. In order to qualify for these, you or someone living with you must be a U.S. citizen, noncitizen national or qualified alien; you must have serious disaster-related needs and expenses; and you must have accepted all assistance for which you are eligible from insurance proceeds and Small Business Administration, or SBA, disaster loans. C. The SBA provides federally subsidized disaster loans to repair or replace homes or personal property of qualified homeowners and businesses. D. Additional forms of direct federal assistance include crisis counseling; disaster unemployment assistance; legal services, including assistance with insurance claims; and special tax consideration that enables you to deduct a casualty loss that exceeds 10 percent of your adjusted gross income on your federal tax return for the current or previous tax year. 3. How Do I Apply? Individuals and business owners who sustained losses in the designated area can begin applying for assistance by registering online at www.DisasterAssistance.gov or by calling 1-800-621-FEMA (3362). Disaster assistance applicants who have a speech disability or hearing loss and use TTY should call 1-800-462-7585 directly; for those who use 711 or Video Relay Service, call 1-800-621-3362. The toll-free telephone numbers will operate from 7 a.m. to 10 p.m. (local time) seven days a week until further notice. Attorney Jeremy Hogan is a partner at Hogan & Hogan. How Would President Trump Be Impeached? Can Sexting Get You In Legal Trouble? Are Parents Responsible for Their Children’s Actions? © 2017 Hoganlegal.com. All Rights Reserved.